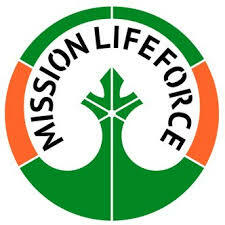 Mission LifeForce is a growing international movement of legal Earth Protectors – people who care about protecting the Earth – who are signatories to a legal document, the Earth Protectors Trust Fund document. To align the force of law with the force of life – bringing international law into alignment with a universally recognised moral code of respect, peace and a duty of care for all life. We all know in our hearts that serious harm to our Earth is wrong – it is already a matter of conscience. Now it is time to make it a matter of law. WHY BECOME A LEGAL EARTH PROTECTOR? Because this is a legacy mission like no other. Because with a law in place to steer major polluters away from ecocide, other wonderful initiatives to protect our Earth can finally reach their true potential. If you are an activist, gain an additional legal defence in a court of law as a conscientious protector. Watch the animation below for all you need to know in 2.5 minutes, or scroll down for an illustrated summary.